This decadent and light flourless walnut chocolate cake is gluten free and so delicious! 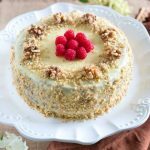 It is moist and the white chocolate glaze pairs wonderfully with the light walnut cream between the layers. Match made in heaven! I have been experimenting with baking gluten free cakes and this one turned out fantastic! It rises beautifully even though there is no flour. I used ground walnuts and almond meal as a substitute, and of course baking soda and baking powder. Also, separating the egg whites from the egg yolks and beating them with the mixer separately, makes them so fluffy and creates very airy cake batter. Definitely, don’t skip this step. This flourless walnut chocolate cake is also fairly simple to make and most of the ingredients are regular pantry staples. 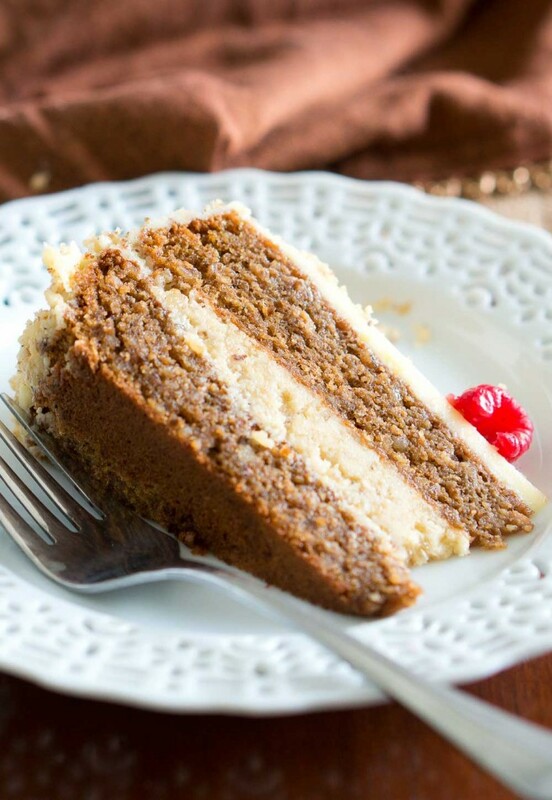 What makes this cake extraordinarily delicious is the moist cake layers. Check out the recipe for my secret tip (which is very simple). I made this cake several weeks ago for my husband to share at work with his co-workers and he said they all loved it and it was gone in minutes. I couldn’t wait to share the recipe for this flourless walnut chocolate cake with you all because I know you will love it as well. 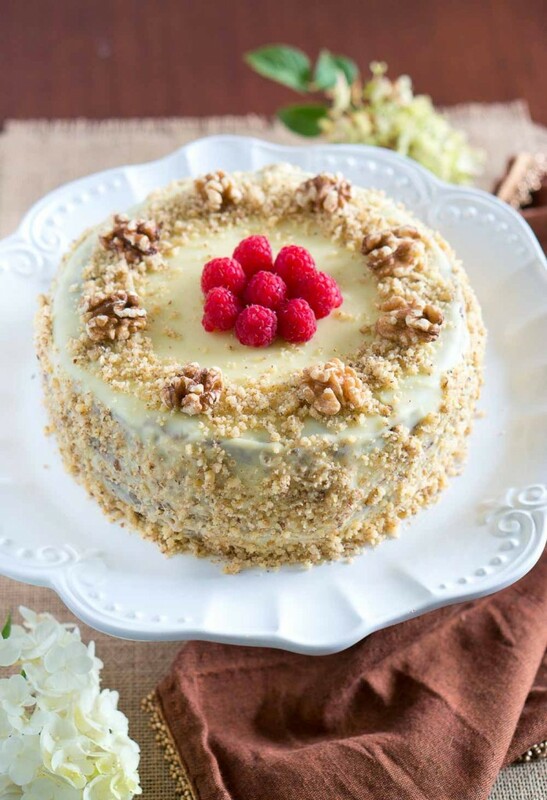 It’s the perfect cake to make when you are entertaining or for a special occasion. Hope you enjoy! In a large bowl, beat the egg yolks with 2/3 of the sugar for about 2 minutes. In a separate bowl, beat the egg whites for a couple of minutes and add the remaining 1/3 of sugar at the end. Beat until stiff peaks form. In another bowl, mix ground walnuts, almond flour, baking soda, baking powder and the vanilla. Gradually stir in the dry ingredients and the egg whites to the egg yolks, alternating between the two. Stir in slowly & carefully, using a silicone spatula, and not a mixer. Pour the batter in two 8 in. baking forms lined with round baking paper circles. Bake the cake layers in a preheated 335 F oven on the middle rack for about 25 – 30 minutes, or until a toothpick inserted comes out clean. In a medium bowl, stir the walnuts and milk for a couple of minutes, until they are well incorporated. It will be a very thick mixture. Using a mixer, mix the butter, powder sugar, and vanilla in a medium bowl until it’s creamy and puffy. Add walnut/milk mixture to it and mix again until it’s well incorporated. Place in the fridge to stay cool. Mix milk and vanilla in a small bowl. Once cakes are done, chill them completely while still in the cake pans on a cooling rack or in the fridge. 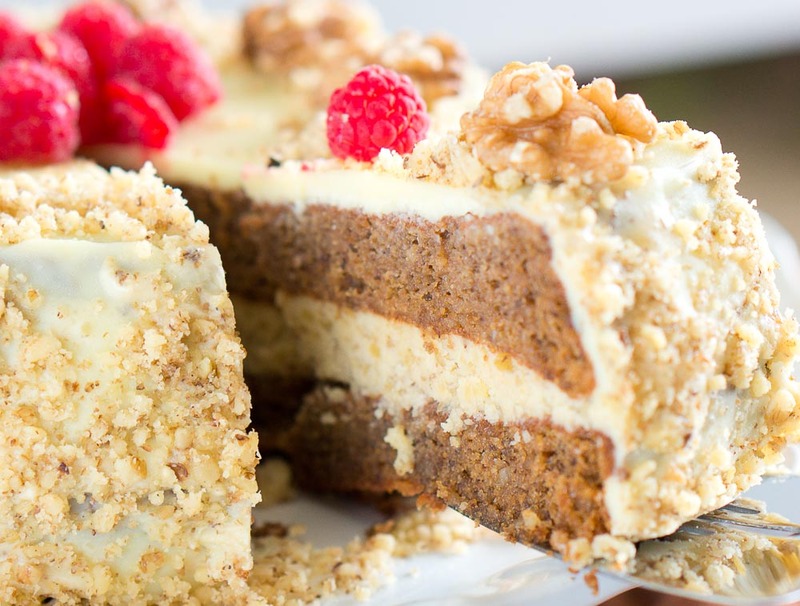 Once they are chilled, place one of the cake layers on a cake stand with the flat side down and evenly spread 1/2 of the milk syrup over the first layer using a spoon. Carefully, place the second cake layer on top with the flat side up. Using a spoon, evenly spread out the remaining 1/2 of the milk syrup. Place in the fridge to chill the cake for at least 1 hour. In a small pan, melt chocolate, butter, and heavy whipping cream over medium heat. Stir until smooth. Let it cool for few minutes. You don’t want the glaze to be very warm & runny or too thick. I placed my chocolate glaze in the fridge until the consistency was perfect for glazing. Take out the cake from the fridge, and spread out the chocolate glaze on top using an icing spatula. If it’s too thick, you may have to warm it up a little bit on the stove, or if it’s too runny, place it in the fridge for few minutes. 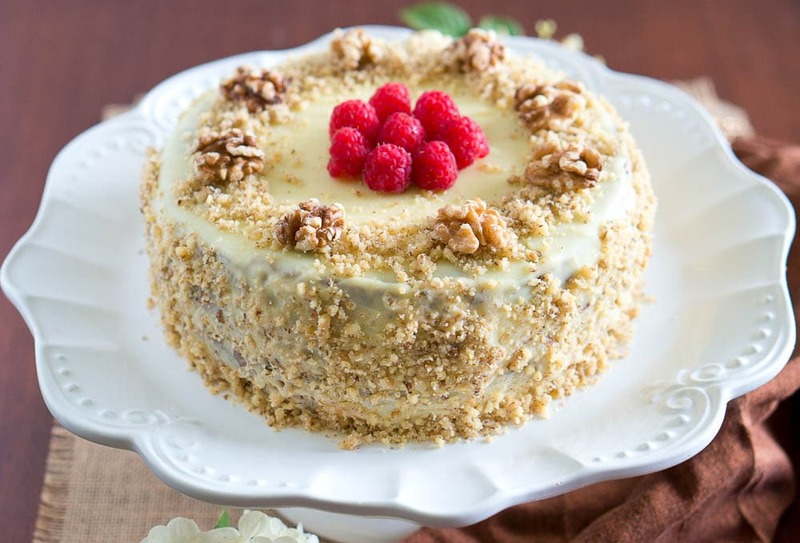 You can garnish the cake with finely ground walnuts on the sides and on top. Place cake in the fridge to set. Decorate the cake with some raspberries or strawberries on top before serving. Decadent & light flourless walnut chocolate cake - so delicious! 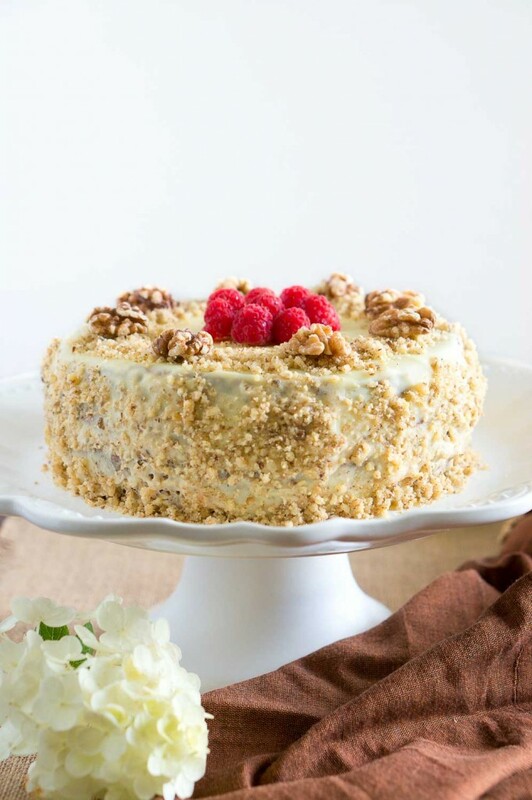 The white chocolate glaze pairs wonderfully with the walnut cream between the layers. In another bowl, mix walnuts, almond flour, baking soda, baking powder and the vanilla. Pour the batter in two 8 in. baking forms lined with round baking paper circles. Bake the cake layers in a preheated 335 F oven on the middle rack for about 25 - 30 minutes, or until a toothpick inserted comes out clean. Using a mixer, mix the butter, powder sugar, and vanilla in a medium bowl until it's creamy and puffy. Add walnut/milk mixture to it and mix again until it's well incorporated. Place in the fridge to stay cool. In a small pan, melt chocolate, butter, and heavy whipping cream over medium heat. Stir until smooth. Let it cool for few minutes. You don't want the glaze to be very warm & runny or too thick. I placed my chocolate glaze in the fridge until the consistency was perfect for glazing. Take out the cake from the fridge, and spread out the chocolate glaze on top using a spatula. If it's too thick, you may have to warm it up a little bit on the stove, or if it's too runny, place it in the fridge for few minutes. Great photos ! This is one of “must try” cakes ! Thank you ! This cake is so beautiful. I love walnuts 🙂 And cake. And chocolate! Thanks, Michelle! 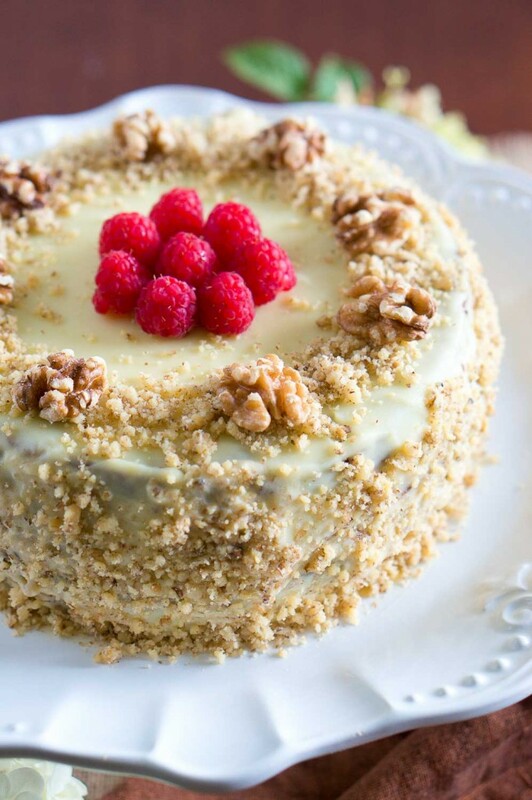 If you love walnuts, this cake is for you! 🙂 It was so delicious. Great recipe. And the ingredients are so good for you. I love walnuts too. I have been passing this around to some of my patients and they love it. 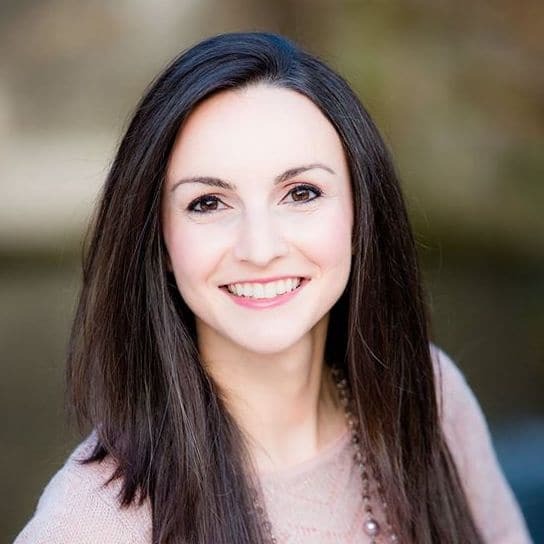 I own a chiropractic clinic in Charlotte nc and have been looking for some delicious yet healthy and also sweet of course recipes for the holidays. I made this one for my staff and brought it in to the office. It was a huge hit! Thanks!